Micron hosts a special fundraiser to benefit the victims of the Manchester attack. 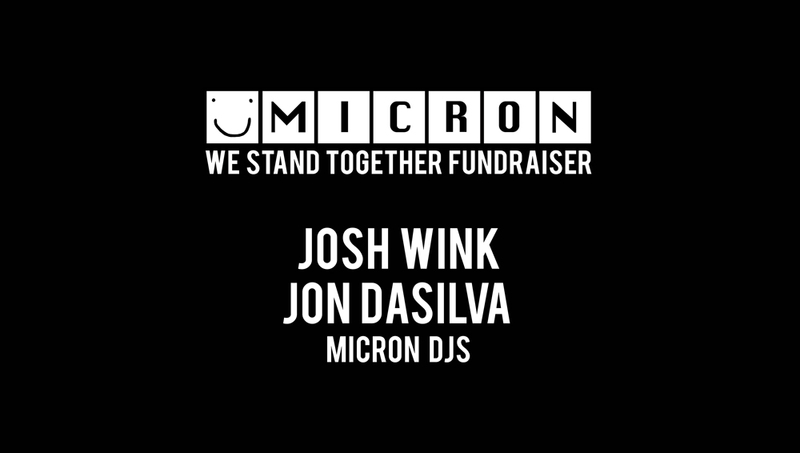 Micron, the party hosts who recently celebrated their 10th anniversary of bringing their “Wonky Disco” to the people, recently announced a special event to support the victims of the Manchester attack. Known for creating a tight knit atmosphere that feels like a big group of friends, Micron is seeking to bring the community together in support of the city they call home. 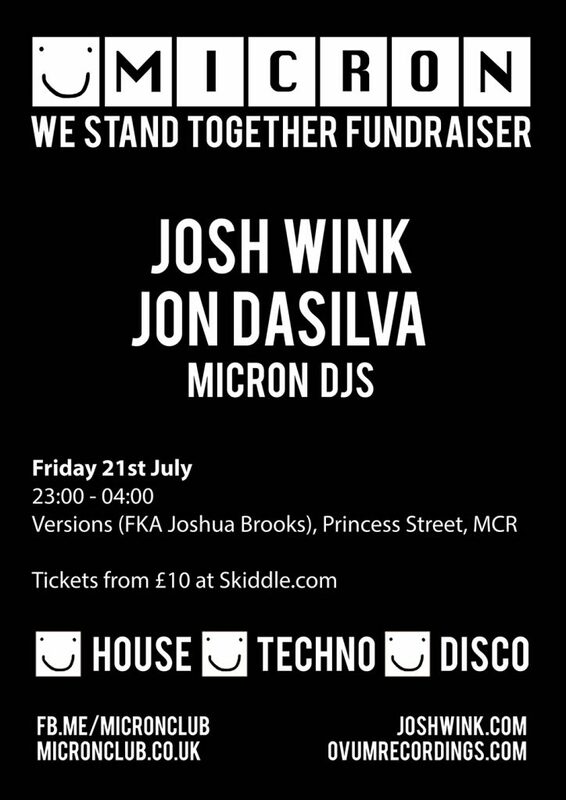 Featuring Josh Wink, who greatly reduced his booking fees in order run the event as a fundraiser, and local legend Jon Dasilva who is DJing for free, this will be a special night where you can get lost in the music while uniting for an important cause. All proceeds, including the ticketing fees from Skiddle, will be donated to the We Love Manchester Emergency Fund, where funds go to the families of victims of the attack. Legendary Manchester clubnight, Micron, returns to their hometown for the first time since their 10th Birthday celebrations in November. Not only that but they’re going back to where it all started – Joshua Brooks (now renamed Versions) – the venue where they ran monthly parties for the first six years. 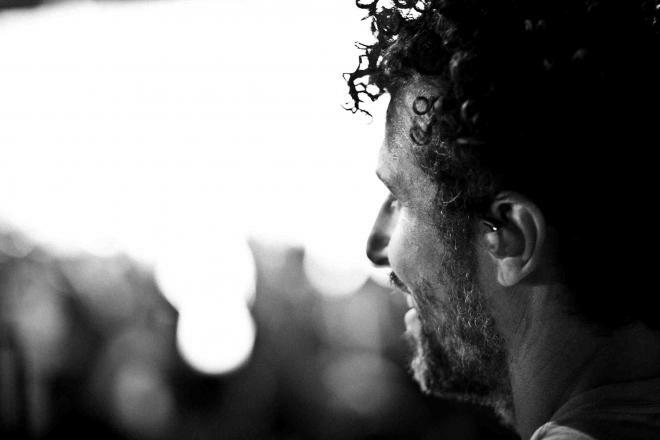 Philadelphia-born acid house hero Josh Wink is in the driving seat this time, continuing Micron’s recent policy that all their headliners perform minimum 3 hours sets – Carl Craig, Âme, Magda, Derrick Carter and Michael Mayer have all done so in recent months. Under its previous name, Joshua Brooks won a series of awards including Manchester Evening News’ ‘Best Venue’ as well as DJ Mag’s ‘Best Small Club’. As Versions, the venue has only got bigger and better, increasing capacity and installing a brand new Void soundsystem. “As an entertainer I feel I have the responsibility to do the best craft I can do. And that is to know the bounds between education and entertainment. When I get too far down one I can bring myself back to the other. I took a little bit more responsibility with ‘Resist’, to talk about issues in the press. But dance music is originally a way for people to go out. It’s been part of our culture, part of our religion. We used drugs, songs and dance in religion from our earliest existence as humans. 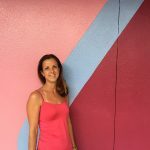 It’s mutated into what we have now and it’s become a way to balance our hectic lifestyles. Sometimes I use that platform, other times I let the music speak for itself, let it be subjective.